Our law practice at Miller & Associates brings our attorneys' business law and family law experience together on behalf of business owners and others with complex financial portfolios. We also represent a wide spectrum of individuals undergoing more "routine" divorces. 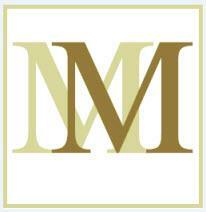 At Miller & Associates, we have a great deal of experience in complex business and real estate issues. We provide a comprehensive service for our clients to ensure that their assets are divided quickly and efficiently. We particularly enjoy the human element and the variety of our family law practice. We help people structure their lives legally and financially as they move through the process of divorce, custody and visitation, child support, spousal support, domestic violence and restraining orders. As needed, we work with CPAs and other professionals to analyze business income when helping clients calculate child/spousal support. From integrating current laws with the numbers revealed in a business owner's tax returns, we work hard to stay on top of both the law and the facts in each client's circumstances. Miller & Associates offers clients limited services. For example, if you cannot afford to hire an attorney to represent you on all issues of your divorce, you can hire an attorney to represent you for a child support modification hearing, or just to prepare and review documents for you, or to analyze property division issues, etc. In fee arrangement such as this, the client manages all other aspects of his/her case and is responsible for handling and resolving all other issues. In an ongoing effort to help our client save money, Miller & Associates also offers paralegal services. If you cannot afford an attorney, or do not feel you need one, just contact Miller & Associates For a FREE 1/2 hour consultation with an attorney, and we will help you determine what level of services best fit your needs. If your matter is uncontested, which means you and your spouse have reached agreements on all issues, then utilizing our paralegal services may be the right thing for you.